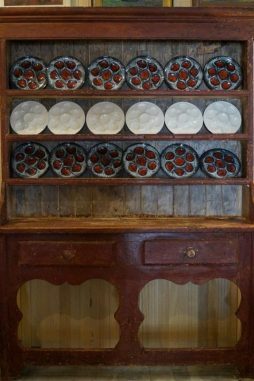 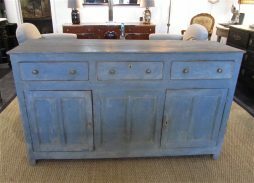 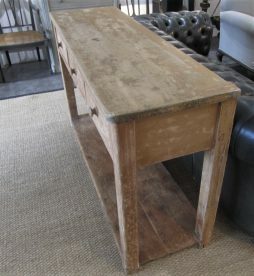 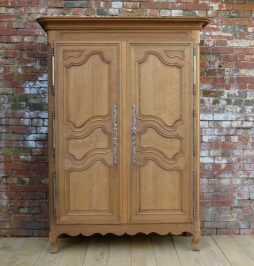 Antique Dressers | Interior Boutiques – Antiques for sale and mid century modern furniture, french furniture, antique lighting, retro furniture and danish furniture. 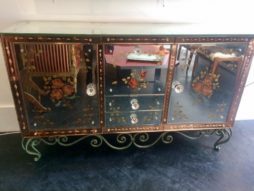 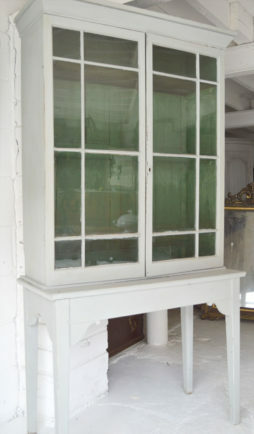 An amazing mirrored chiffonier-dresser. 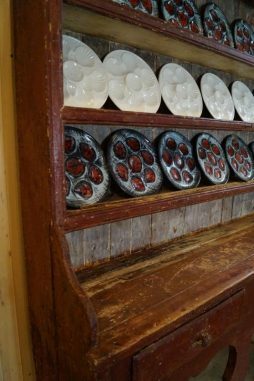 The glass of this unique piece of outstanding quality has reverse floral motif painting all round, including the sides, while a pie-crust peach glass frames the front of this piece. 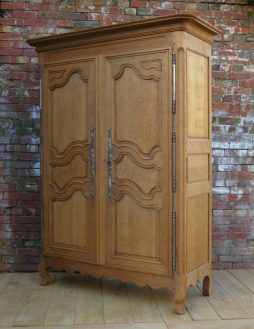 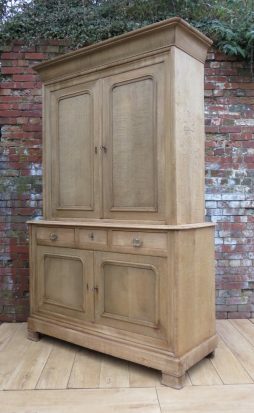 In addition to its unusual look, this chiffonier-dresser offers a lot of useful storage, with its 2 side compartments with shelves, 2 drawers and a central compartment with flap opening. 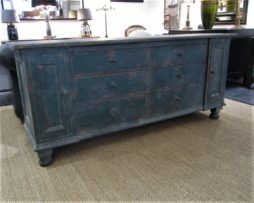 The lovely glass handles, interspersed rosettes and green painted fer forge base contribute to give it its undeniably French connotation. 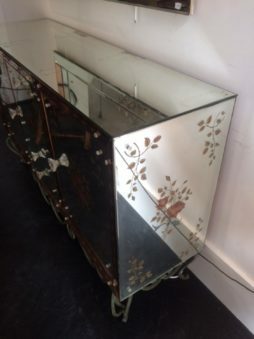 Some distressing on the mirrored top, consistent with age. 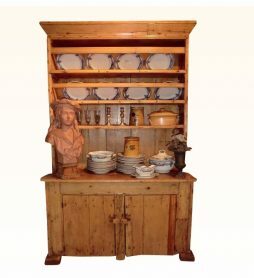 Ca.1930s. 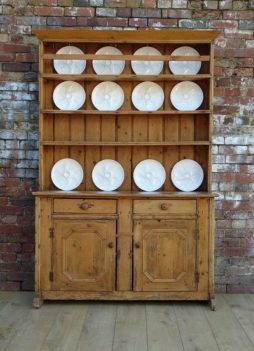 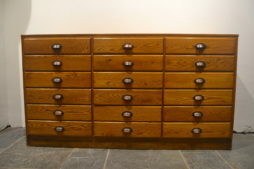 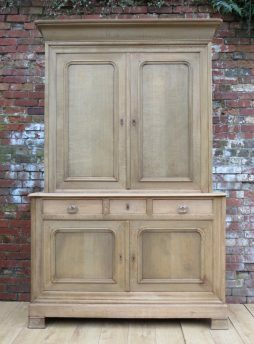 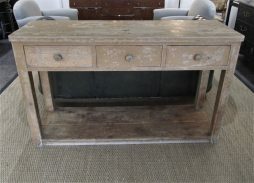 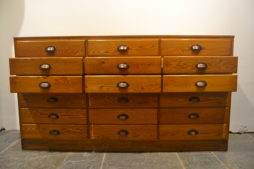 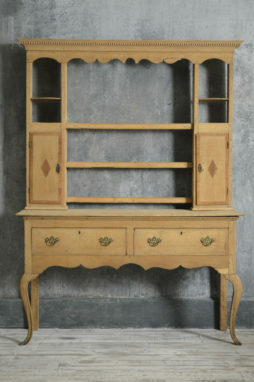 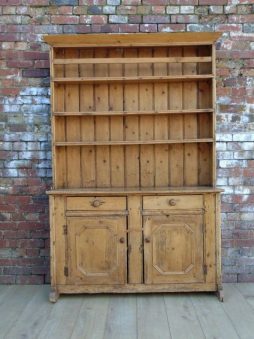 Early 19th century antique Irish Pine dresser.